To those who attended the session yesterday, a really big thank you for coming (: We hope you’ve found the session useful. Creative Writing Competition (CWC) is held annually in Semester 1 from the period of October to November. Evening of Poetry and Music Appreciation (EPM) is held annually in Semester 2. Prize presentation ceremony for CWC will happen here. Prize winners will also read their works. There will be music performances as well. Please refer to the EPM section on our facebook group to check out the pictures. 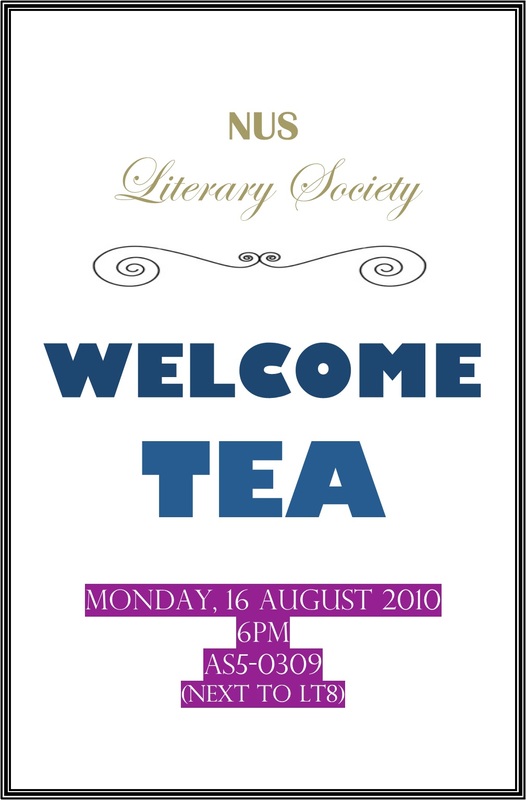 Our Annual General Meeting (AGM) will held next Monday, 23 August 2010, 6 p.m. at the Literary Society Room. Our gathering point is at Block ADM Level 4, where the ez-link top up machine is. We will then bring you to our litsoc room (: During this meeting, we will be forming our new committee, as well as set our target for the new academic year ahead.